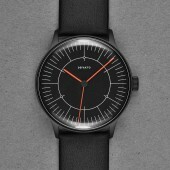 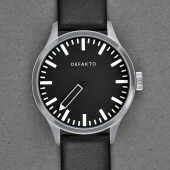 The two-handed Defakto Dialog watch with fluorescent hands is characterized by its understated aesthetics, its flat case and its clear time-mapping. 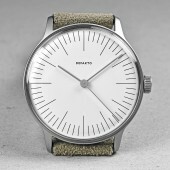 By doing away with the second hand, the resulting watch makes a very balanced and quiet impression. 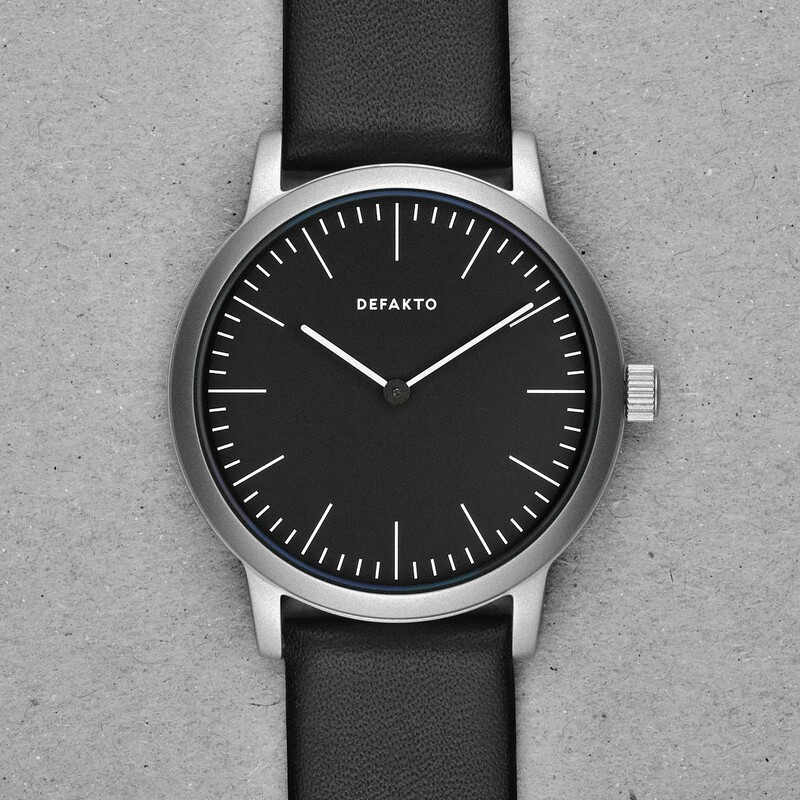 The finely-delineated indexing perfectly matches the light, rounded hands – both of which ensure excellent readability and ensure the elegant appearance of this Bauhaus-inspired watch. 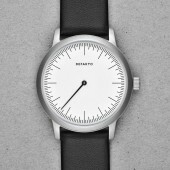 The flat two-piece watch case, 6.6 mm high and 40 mm in diameter, is available in high-polished, morphing stainless steel or with a matt PVD surface. 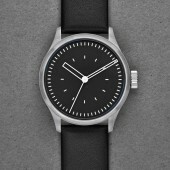 Despite its ample dimensions it doesn't wear big due to its thin stature. 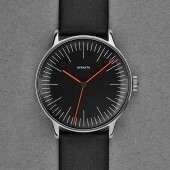 The reliable and precise Swiss-made Ronda 712 Quartz movement offers excellent longevity and is perfectly suited to everyday use. 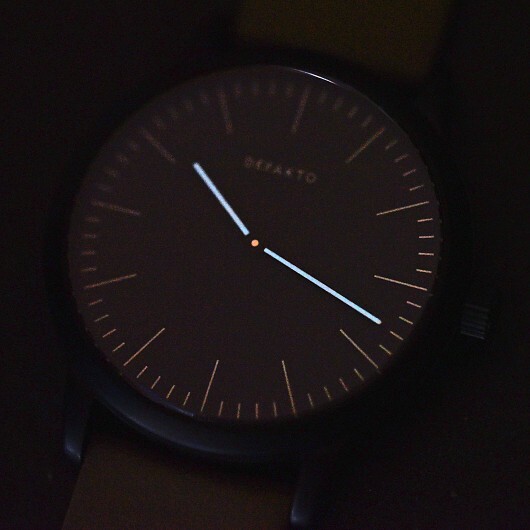 Interfering reflections are significantly reduced by the antireflective sapphire glass. 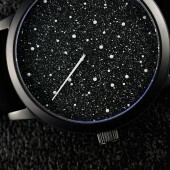 The solid, engraved caseback can be customized with a motif or text of your choice. 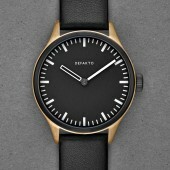 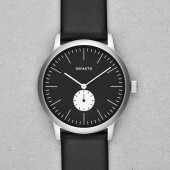 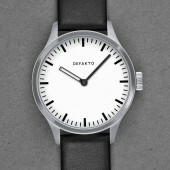 The watch comes with a high-quality, German-made Defakto cowhide strap as standard. 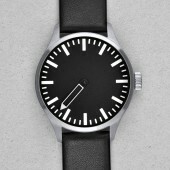 The watch has a water resistance of 50 m / 5 atm. 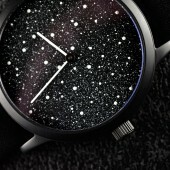 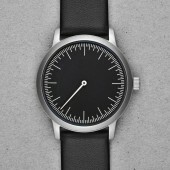 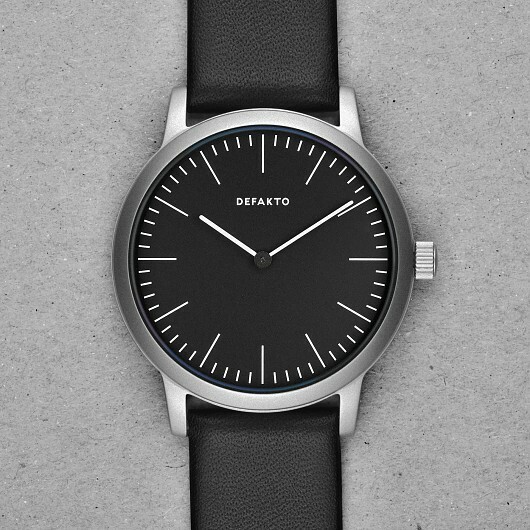 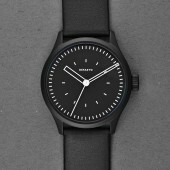 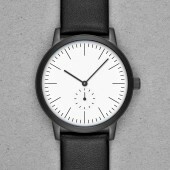 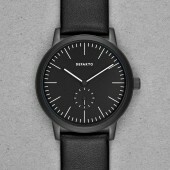 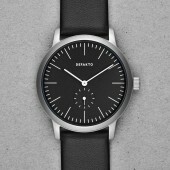 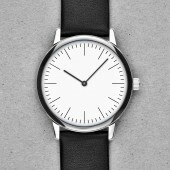 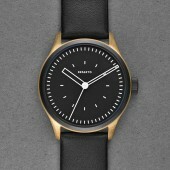 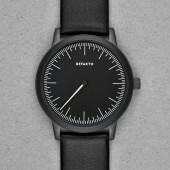 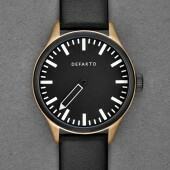 Altogether this makes the Defakto Dialog a perfect unisex watch.